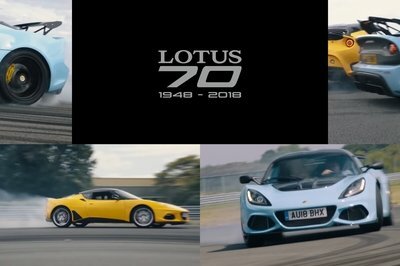 Lotus isn’t a brand known for selling lots of cars. Nor is it known for coming up with a new model on a regular basis. In fact, before the Evora was introduced at the 2008 British International Auto Show, all of the Hethel-based manufacturer’s cars built in the 21st century were based around the same platform as Romano Artioli’s Elise. 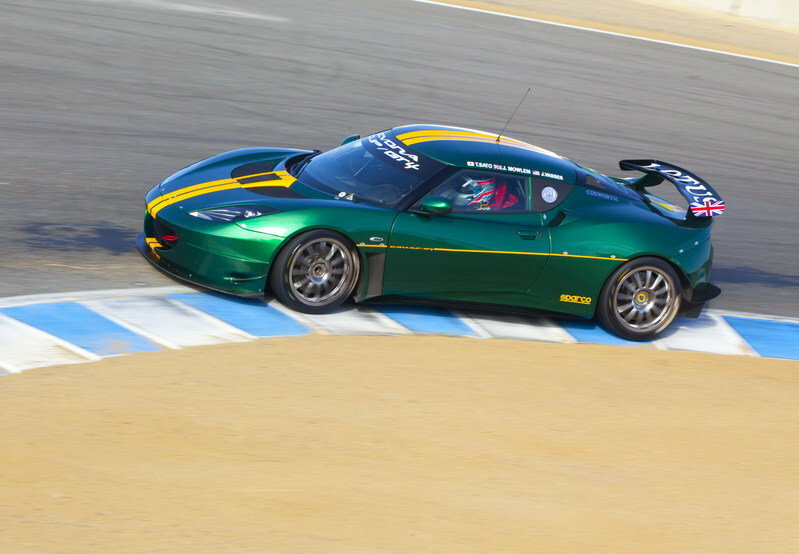 The Evora, though, needed a platform of its own because it was bigger in all areas and less track-focused. 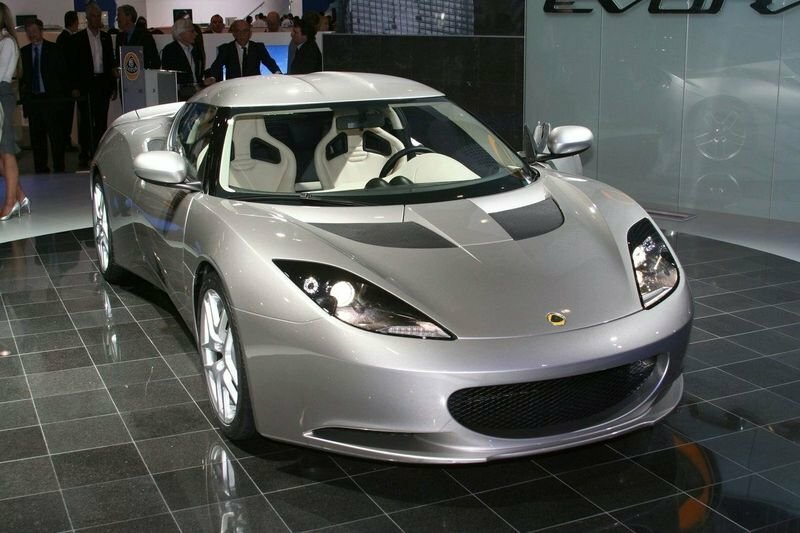 The Evora debuted with a Toyota-sourced 3.5-liter, 24-valve, naturally aspirated V-6 engine that put out 276 horsepower at 6,400 rpm and 258 pound-feet of torque at 4,600 rpm. 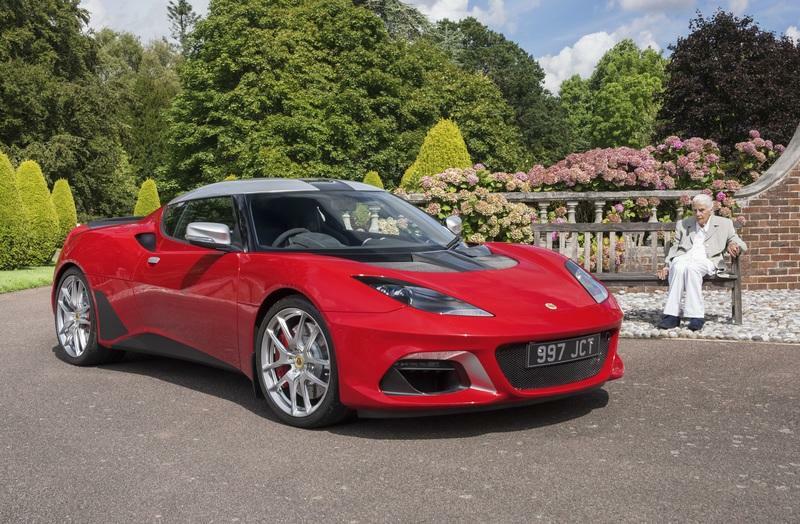 With a curb weight of just 3,049 pounds with the manual in place (the automatic transmission added 130 pounds), the Evora could go from naught to 60 mph in 4.8 seconds en route to a top speed of 163 mph - not bad for the only 2+2 mid-engined sports car on the market. 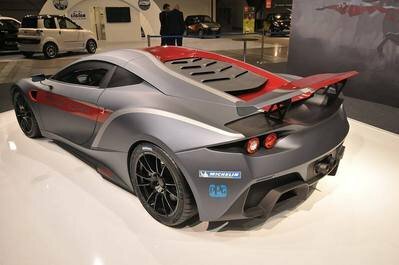 In 2010, the Cup GT4 debuted in the European GT4 Series with power coming from a 4.0-liter V-8 making 355 horsepower, as much as an Evora S IPS and about 80 ponies down on the current most powerful Evora, the GT430 Sport IPS powered by a supercharged version of the same V-6 that churns out 430 horsepower and 332 pound-feet of torque. It proved competitive right off the bat, Ollie Hancock, brother of Sam Hancock, winning the Nürburgring round. The car also raced in the 2011 Dubai 24 Hours and finished on the podium in the SP3 class. That year, Stefano D’Aste won at the Zandvoort Park circuit in the Netherlands on his way to third in the Driver’s Championship of the European GT4 Series. 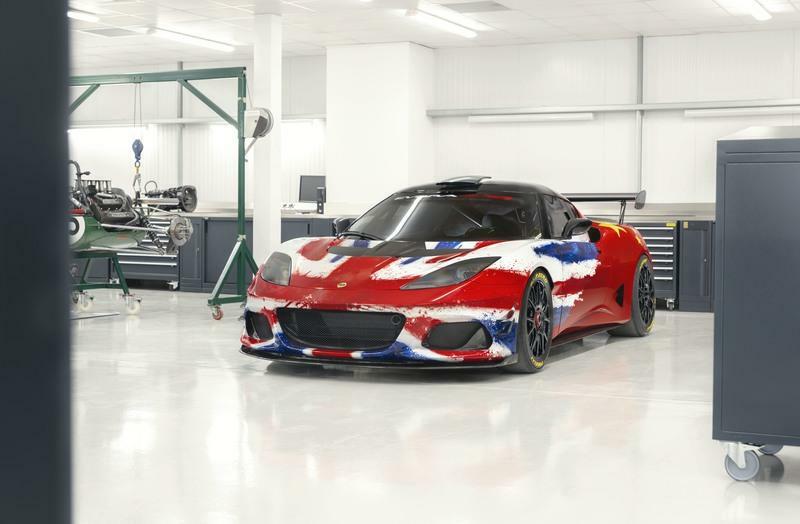 As you’d expect, the British GT series showed an openness to Lotus’ latest product quickly and the car was raced to some success in the national GT series between 2011 and 2016. More recently, with the level of GT4 racing increasing at a rapid pace and major manufacturers introducing cutting-edge machinery such as the Porsche 718 Cayman Clubsport GT4, the Mercedes-AMG GT GT4, the BMW M4 GT4, and, this year, the new Aston Martin Vantage GT4, the Evora fell off the radar of prospecting teams. 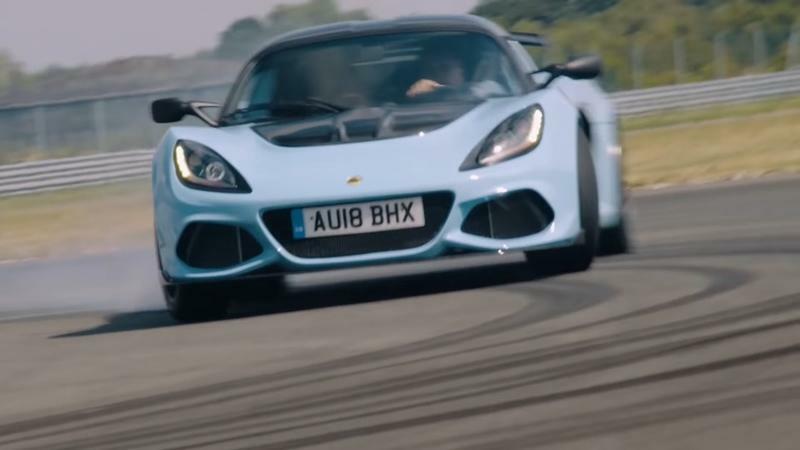 Now, Lotus aims to change that with the car you see here, a refreshed GT4 beast that is, however, still based on that same old (but trusty) base. The car was unveiled at the Shanghai Auto Show for a very good reason: Lotus also launches the Chinese branch of its official Driving Academy. 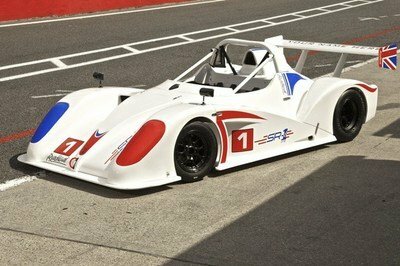 To kick things off, the British manufacturer has already hired two Chinese drivers to complete its driver roaster, Cui Yue and Gaoxiang Fan. The latter was the China Touring Car Champion for 2017 while the former is known for being an established front-runner and race winner in the China GT Series, the China Touring Car Championship, the Formula Grand Prix, and, most recently, the Porsche Carrera Cup Asia. 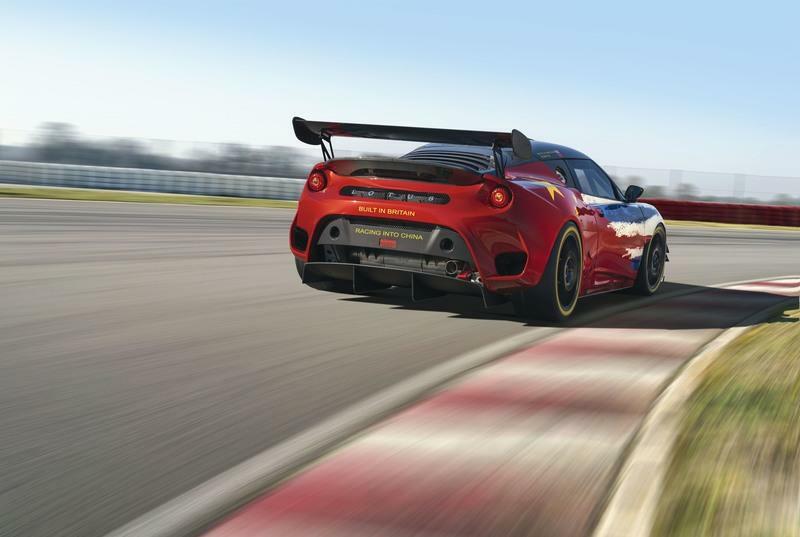 The new GT4-spec Evora features the same anodized aluminum, epoxy-bonded and riveted chassis as seen before while also sharing some aerodynamic elements on the outside with the Evora GT430 and the GT430 Sport. It will, however, be stiffer than both of its road-going brethren but only weigh 2,645 pounds before the BoP process is applied and ballast is added. 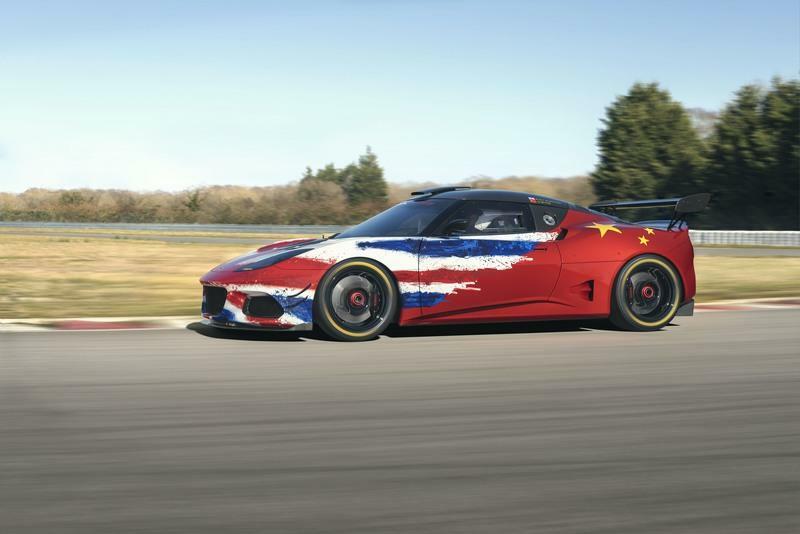 The lightest road-going Evora tips the scales at 2,750 pounds. For comparison’s sake, a Subaru BRZ weighs 2,764 pounds and a and a Kia Rio tips the scales at 2,656 pounds - about as light, but the Rio will never hit 170 mph. The Evora GT4 is as light as it is because it incorporates hybrid body panels made out of a blend of carbon fiber and other materials. 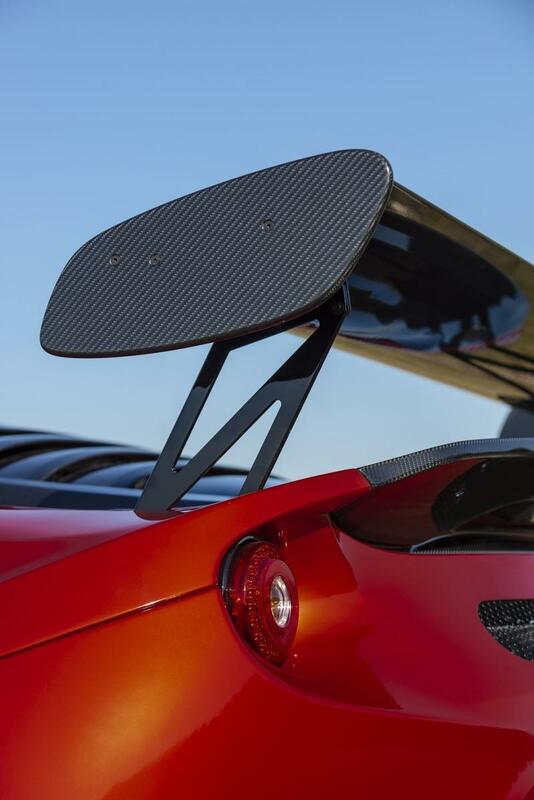 Compared to the GT430, the GT4 sports winglets on either side of the nose, removable canards, and fully functional inlets in the lower bumper. The two side vents in the nose feature carbon fiber fins that direct air towards the brake ducts. The splitter itself also features vertical carbon fiber fins at both ends just below the winglets attached to the front overhangs. There is also a roof scoop and the two vents incorporated in the trunk lid are maintained. From the side, you’ll notice that the stock wheel arches are left untouched as per GT4 rules but they can still fit racing center-lock rims wrapped in Pirelli rubber. 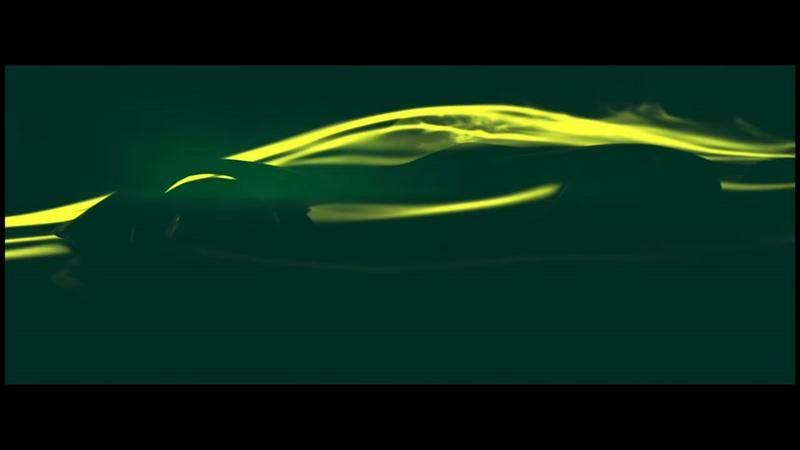 The chiseled shape of the Evora is particularly visible in the presentation livery displayed at the Shanghai Auto Show that is the brainchild of Russell Carr, the Design Director of Lotus. 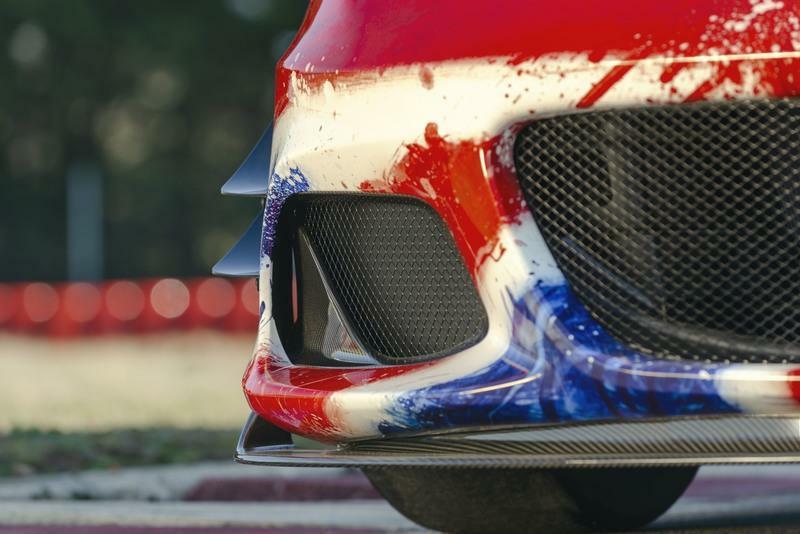 The livery combines a vivid red body paint with the Union Jack quite literally splashed across the nose section of the car with the red bits (that represent England’s flag) being where the body color really is combined with the other colors of the British flag. 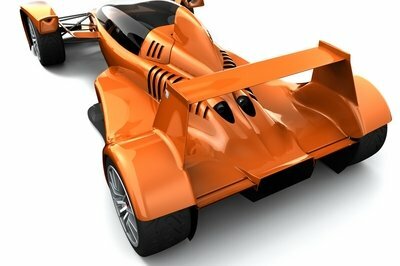 In the back, you’ll find a composite, four-vein diffuser and an adjustable, carbon fiber, flat-plan motorsport wing. Below the fixed wing there’s also a carbon fiber ducktail and you’ll also notice the grille in between the twin, round taillights. In the lower corners of the rear fascia, there are holes cut through the bodywork to let hot air from the brakes to exit. On the back of the ’Concept’, you can see the "Built in England, Racing into China" sentences written in yellow lettering. The cabin is wrapped in Alcantara leather. Once you strap yourself in the bucket seat, you're faced with a multi-functional F1-style steering wheel that incorporates a screen for the most important information. Buckets of data are also at a press of a button away on the main screen behind the steering wheel. On the center console, there are 15 square buttons including some for the wipers, the indicators, the lights, the fan, the fuel reset, and, most importantly, the ignition button. Overall, the new Evora looks like a step forward from the old one but it’s merely an evolution and, on the face of it, an evolution might not cut it when you’re racing against brand-new machinery from manufacturers that have more than five times the budget of Lotus when it comes to developing a racing car. Still, it’s cool to see that there still are new cars joining the GT4 category. As I said, this year we saw the introduction of the new Vantage-based GT4 racer and last year an Alpine A110 GT4 car debuted. You can expect a Supra GT4 to show up in the near future as well and Ginetta could also develop a GT4 racing version based on the already track-oriented Akula. 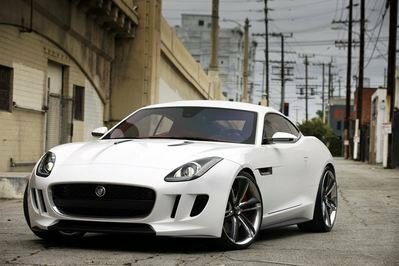 Currently, Ginetta is offering the cheapest GT4 car of the lot and Lotus must thrive to get close to the $152,742 MSRP of a G55 GT4 if it wants to find customers because, otherwise, people will just go for a more established manufacturer such as Mercedes-AMG, BMW, Porsche or Audi which cost anywhere between $180,000 and $250,000 but are more of a ’known quantity’ in terms of performance and reliability (and track record) than the Lotus.